Home Physical Characteristics Is a Praying Mantis an Insect? Absolutely! Praying mantis is an insect just like billions of others. However, the mantis’ uncanny disposition together with its seemingly reverent forelegs does leave people to wonder what type of insect it is. But it’s an insect. Mantises are essentially sticky insects probably the jumping ones that belong to the cockroach family. 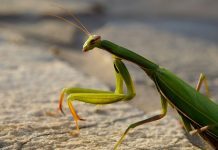 Let us see what makes a praying mantis an insect. Worldwide, insects are characterized by three main body parts; thorax, abdomen, and head. Praying mantis qualifies for all these characteristics. The mantis’ abdomen is further divided into five to six segments which are probably found in most other insects. Every insect ought to have one pair of antennae, joint legs, and compound eyes. Every insect ought to have one pair of antennae, joint legs, and compound eyes. 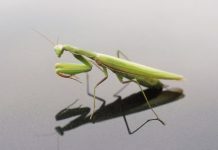 The male mantis has longer antennae as compared to that of a female. Mantids have two compound eyes too. Generally insects may or may not have wings. Some species can fly while others are simply wingless yet they are insects. In mantids, both male and female possess wings but only former can take to the skies. 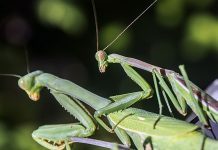 Most insects hatch from eggs so as the praying mantis. However, the mantis’ eggs are laid in a protective case known as ootheca. Furthermore, praying mantis like other insects, undergo numerous metamorphosis stages before turning into adulthood. 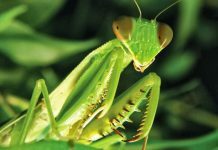 The closest relatives of praying mantis are cockroaches and grasshoppers. All these species often fall prey to mantis. Erwin, Terry L. (1982). “Tropical forests: their richness in Coleoptera and other arthropod species” (PDF). The Coleopterists Bulletin. 36: 74–75. Erwin, Terry L. (1997). Biodiversity at its utmost: Tropical Forest Beetles (PDF). pp. 27–40. In: Reaka-Kudla, M. L.; Wilson, D. E.; Wilson, E. O. (eds.). Biodiversity II. Joseph Henry Press, Washington, D.C.
Chapman, A. D. (2006). Numbers of living species in Australia and the World. 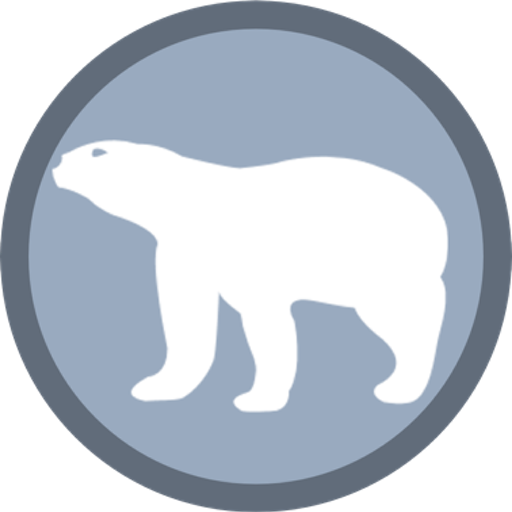 Canberra: Australian Biological Resources Study. ISBN 978-0-642-56850-2.